According to one influential art critic, “Go big or go home” was the underlying theme at this year’s FIAC – the French International Fair of Contemporary Art, celebrating its 40th year in Paris. 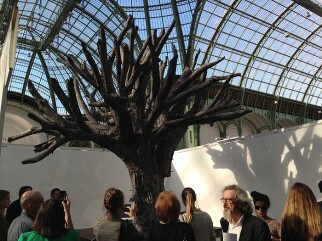 Anxious to re-establish its relevancy, FIAC seems to be making a comeback on the global art map. Judging by the oversized artworks on display, I wouldn’t be surprised if this year’s FIAC showstoppers could be seen from space. 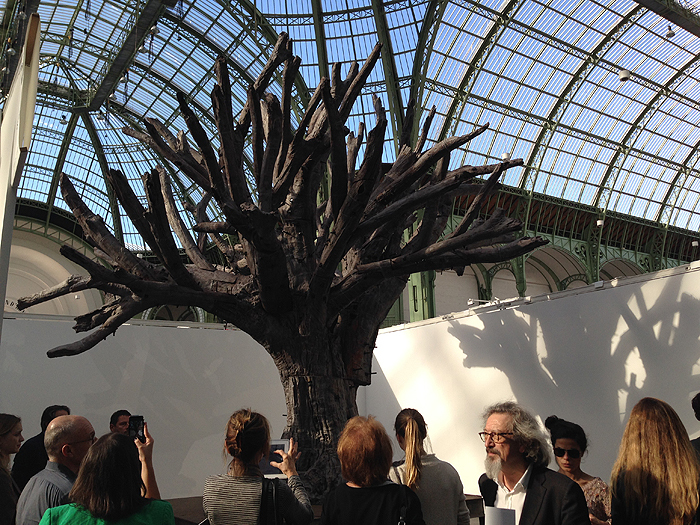 Chinese artist Ai Weiwei’s Iron Tree (above) is a good example of FIAC’s supersized sculptures. 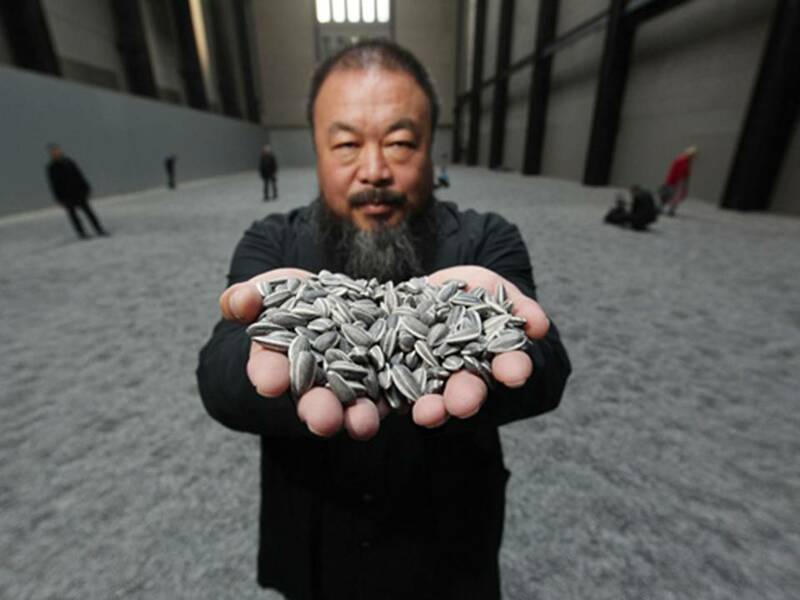 Weiwei is by far one of my favorite contemporary artists. He likes to think big – very very big. However, while talking to a talented fellow ceramicist today, I was dismayed by his blanket statement about there being no point in his trying to get into galleries because “they just want big”. I take issue with that. 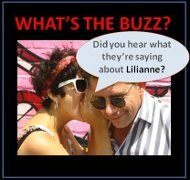 Artists these days have to be wary of falling into the trap of thinking that ‘bigger is always better’. 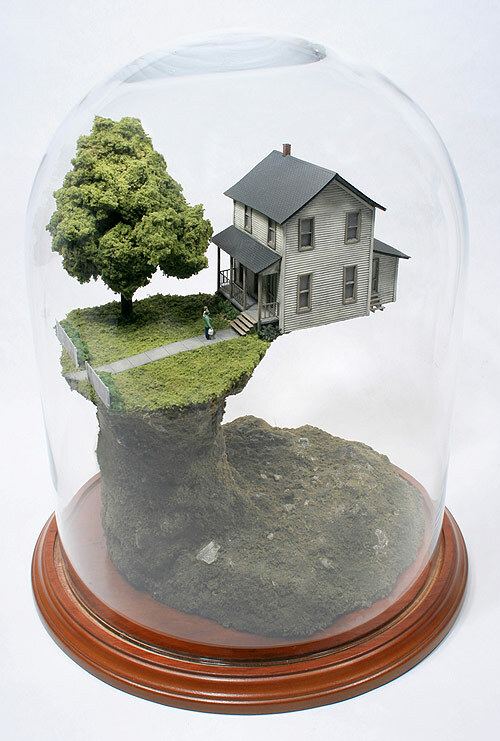 Publications such as Newsweek and the Wall Street Journal laud Doyle’s illustrious international career based on his tiny worlds. I was naturally very excited to have him select one of my 4″ high figurines (see below) for the upcoming Small Worlds exhibition opening December 7th at the Target Gallery in the Torpedo Factory, Alexandria. 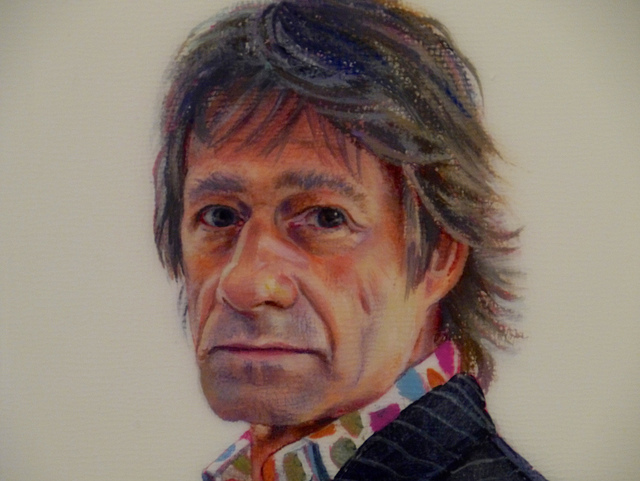 Likewise, my tiny 5″ x 5″ portrait entitled Le Parisien (below) just won second place in the small format section of the Mortimore Prize for Realism in Australia. Thinking on a gargantuan scale often means that the artists cannot possibly produce the works by themselves. They need to hire a team of assistants to create their masterpieces. 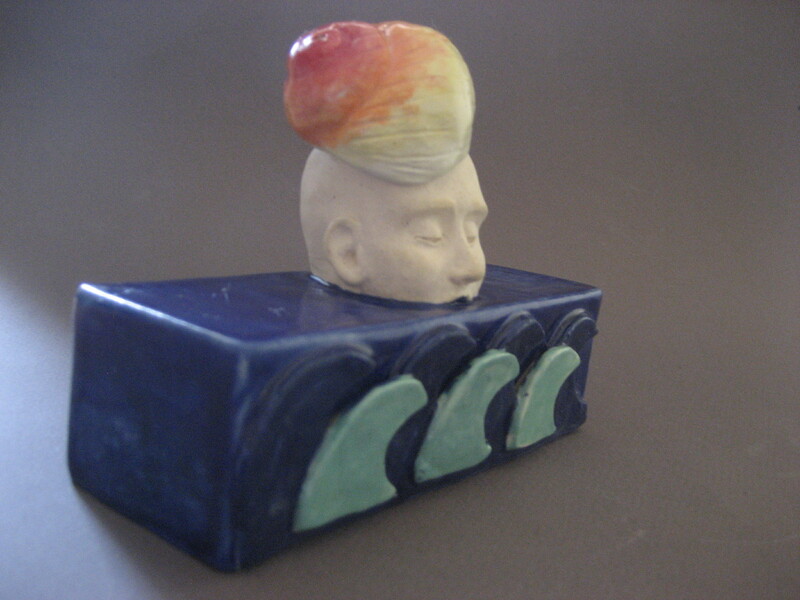 I personally would miss making things with my own hands – after all, that’s what drew me to art in the first place. So for those of us artists who often enjoy creating on a small scale, and for those art appreciators who like to experience artwork of an intimate size, let it be known that we are not going home! Irit Ovadia Rosenberg suspends tiny clay fragments overlaid with multiple glazes and her signature prints. 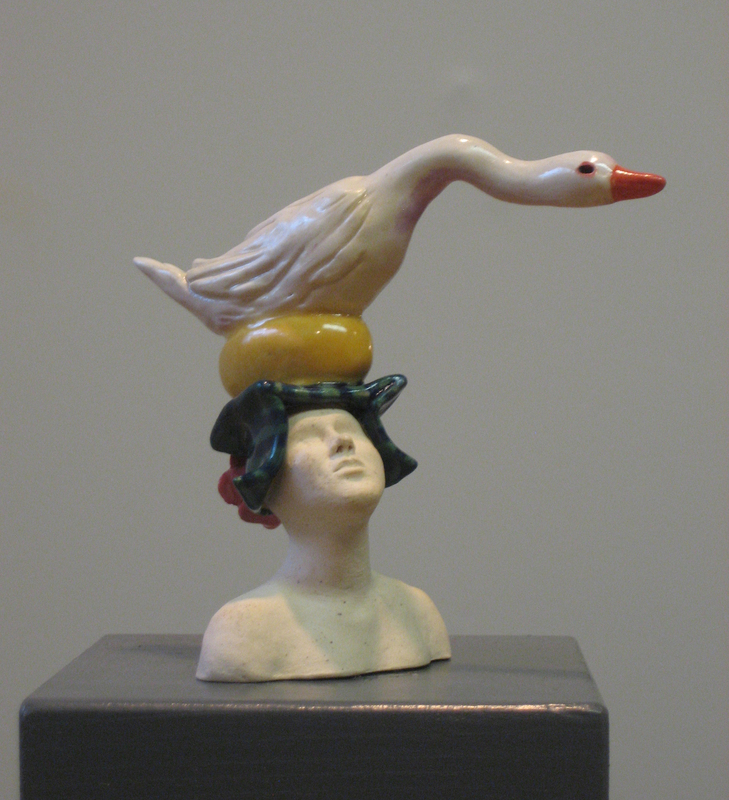 Currently at Tova Ossman Gallery, Tel Aviv, Israel.